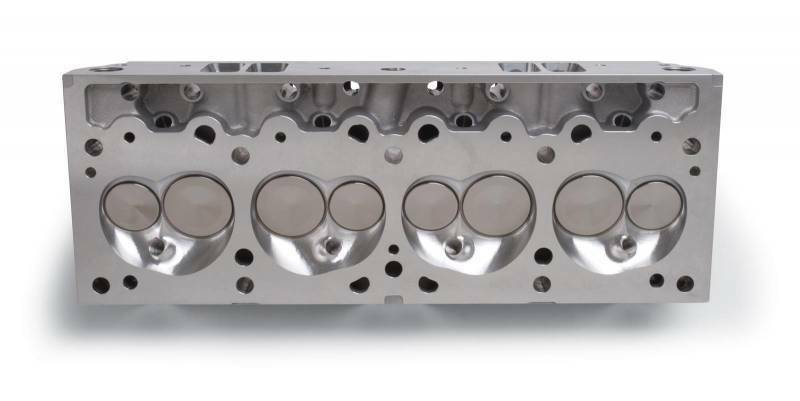 Performer Pontiac Cylinder Heads utilize a D-Port exhaust port configuration for use with standard D-port exhaust systems. They are designed for 1962-79 389, 400, 421, 428 and 455 c.i.d. V8 Pontiac engines with a 4.060" or larger bore. They feature optimized oil return passages for increased oil flow. These heads are available in three heart shaped combustion chamber sizes, including 65cc, 72cc and 87cc. The 65cc combustion chambers are as-cast while the 72cc and 87cc chambers are fully CNC’d to provide a 9.5:1 compression ratio when used with flat-top pistons. The spark plug has been relocated closer to the exhaust valve for improved performance. These heads are cast with extra thick port walls and a compact port size, making them ideal for CNC and hand porting. 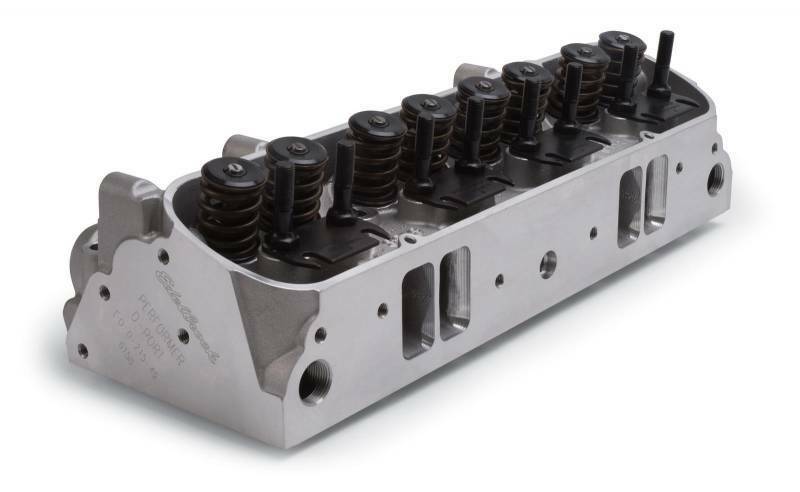 Complete cylinder head includes guide plates, rocker studs and high quality valvetrain for direct bolt-on application. Heat crossover is machined for 50-state emissions legal performance. Valve spring maximum lift: .550"; 1.160" Coil Bind Open Pressure: 420 lbs @ .580"